Visitors Center, Orange - Pez Candy, Inc.
Orange is home to one of the most revered, nostalgia-inspiring candy companies in the United States. Recognized for their dispensers as much as for their candy, the PEZ company began selling its products in America in the 1950s and soon grew into a pop culture icon. Today, its ever-changing lineup of seasonal and thematic packaging continues to appeal to consumers around the world. Edward Haas III invented PEZ in Vienna, Austria, in the 1920s. The name came from letters found in the German word pfefferminz, meaning peppermint. Haas built a factory in Czechoslovakia in 1935 and originally marketed his product to adults as a breath mint and alternative to smoking cigarettes. In 1948, PEZ produced its first dispenser and shaped it to resemble a cigarette lighter. In the 1950s PEZ established an American subsidiary headquartered in New York City and obtained US patents for its products. To increase demand, PEZ began producing its candy in fruity flavors for children and sold its product in plastic dispensers molded to look like Santa Claus or futuristic space weapons. These dispensers soon developed into the plastic-headed icons for which the company became famous. 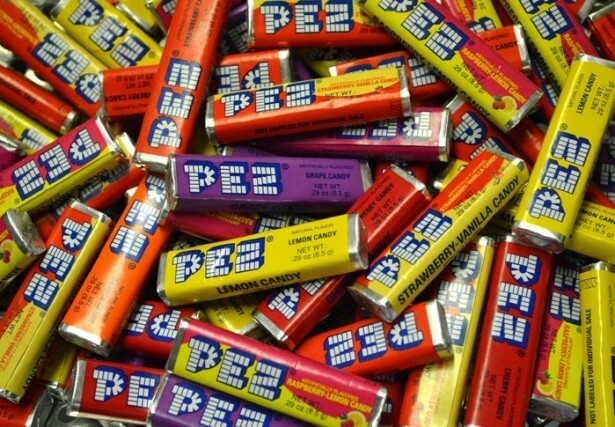 In the 1970s, PEZ became a privately owned US company and moved to Orange, Connecticut. Pez Visitors Center, Orange – Pez Candy, Inc.
What made PEZ such an attractive product was its combining of candy with toys. The dispensers themselves became even more popular than the candy found inside. Early dispensers displayed such familiar figures as Orphan Annie, Bugs Bunny, Superman, and Cinderella. Consequently, the company soon discovered a burgeoning collectors’ market for their dispensers. In 1987 the company added “feet” to the dispensers to make them easier to display and, four years later, aficionados held the first PEZ collectors convention in Mentor, Ohio. Today, popular lines include those depicting US presidents, national landmarks, and characters from such popular motion picture series as Star Wars and The Lord of the Rings. 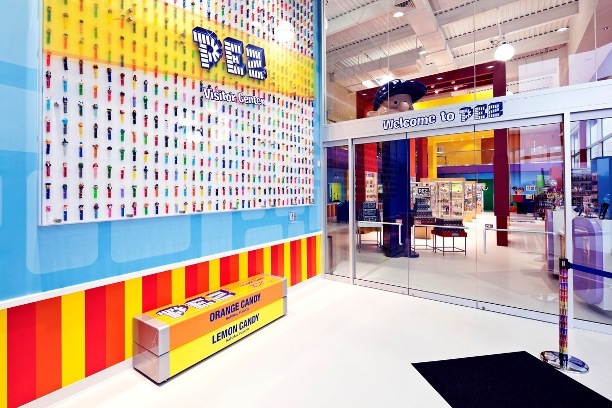 In 2011, PEZ Candy Inc. opened a visitor center at its headquarters in Orange. Occupying over 4,000-square-feet, the facility offers the public more than 5,000 displays, including a full-sized motorcycle made of PEZ. In addition, the center houses a PEZ trivia game and a glass-walled manufacturing area where visitors can watch workers make PEZ products. Producing over 12 million tablets per day, the company continues to bolster its market prospects by introducing new offerings like 2008’s chocolate-flavored PEZ. “PEZ.” 2013. Accessed May 20, 2013. Link. “Pez Visitor Center,” 2013. Link.